The DMM Fly Hammer can be used on challenging lines throughout the world. 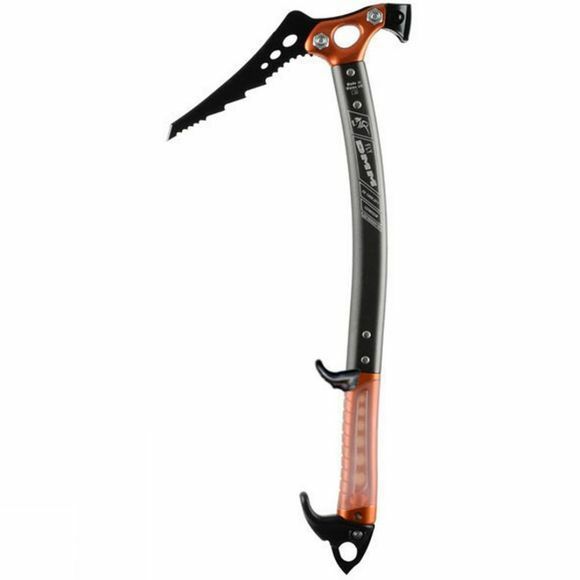 Designed with modern climbing in mind, it has an ergonomic handle, and a great pick set. The lower hand rest provides support and a upper rest which enables leashless climbing.